Modular AIRlift Stadium Hardware is the first and only marching percussion stand designed to encourage proper playing technique. In combination with the Stadium Hardware aluminum body, AIRlift technology allows the player to maintain complete control of the percussion instrument through the height adjustment range. Advanced enough to use both in the bleachers or on playing field, while the aluminum is ultralight enough for easy compact transport and travel no matter the venue. Standard on all new Stadium Hardware, the modular feature allows for the stand to quickly be separated into half its original footprint, creating easy transport, compact storage and versatility. Modular AIRlift Stadium Hardware also features a one touch monolithic nose leg collar, making elevation bleacher and angle adjustments a breeze. Integrated with a patented innovative air suspension system, the telescoping tube glides up and down effortlessly, ensuring easy, instant setup and positioning of your instrument anywhere from the 34"-45" height adjustment range ensuring the drum(s) will not fall vertically. 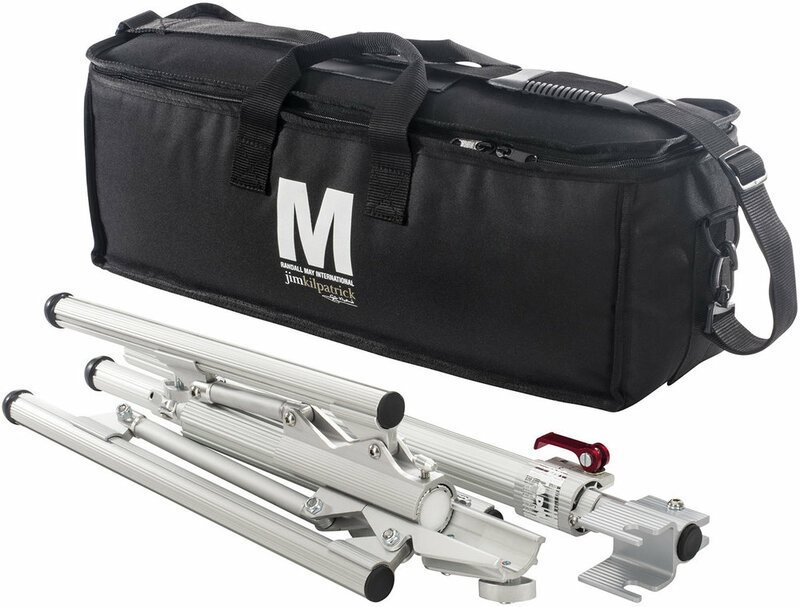 Utilizing Stadium Hardware’s patented tripod system, a single leg can adjust independently of the other two legs to ensure stable support of the instrument whether on the field or in the bleachers. Newly designed ergonomic wing bolts provide even greater torque values with less effort during setup. Stadium Hardware maintains proper playing technique and accommodates all players regardless of the stands environment. Stabilizing arms secure the instrument during play, while feet grip the surface of any floor to prevent movement. Tubular leg braces have been added for further strength and rigidity ensuring dynamic support of the drum. Fabricated out of tempered aircraft aluminum alloy, the Stadium Hardware embodiment creates an ideally lightweight result without sacrificing strength. The modular design of the ultralight aluminum 6.5 pound stand allows for incredible ease of transportation. A custom carry on-bag with ID pocket allows for additional and individual protection of each AIRlift Stadium Hardware stand.